The future of farming and gardening is here with the new Future farm on sale now. Grow your own plants and learn about ecology with the Wild science toys and gifts. 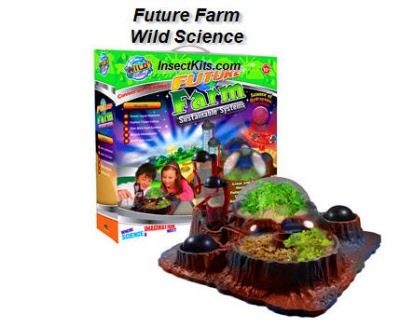 Purchase separately the ecospheres and you can have a blast watching how live ants perform in the kit. We sell a variety of other garden toys as well. The Ant Mine offers you a unique look into the lives of how ants interact with each in everyday life.